There is a right way and a wrong way to train for a marathon. Below is a list of Top 10 Rookie Mistakes commonly made when training for a first marathon or half marathon. Many beginning runners finish a run and neglect to stretch enough or even at all. They then find themselves tight and sore and eventually with a running injury. Do not neglect the importance of stretching! Stretch within 15 minutes after every run and take your time. As you progress through training, add a few seconds to each stretch and build up to 20 seconds or more per stretch. Benefits will include less soreness, greater flexibility, longer stride, and much more. Do not underestimate the importance of stretching. Many runners do not share there goal with their friends, family, or co-workers. Why not? Afraid of what they might say? Afraid you will tell them and then fail to achieve your goal? If so, that’s all the more reason to tell them! It will give you lots of extra (and needed) motivation. Fear can often be the most powerful form of motivation. Use it! They should be supportive of you. All you have to do is tell them you are training for a marathon or half marathon. Do not feel compelled to keep them updated on your progress though. Unless they are a runner, they simply will not understand. Think of that friend or co-worker who insists on telling you about every shot they had yesterday playing 18 holes of golf. Do you really care to hear about it? I don’t! Still, tell them early on that you have decided to run a marathon or half marathon. It will work in your favor. Often, a beginning runner will start training and have a very difficult time completing their first 5-mile run. They don’t see how they can possibly run more than that, much less 13.1 or 26.2. They stop right there. Done. Finished. They CAN do it, but they can’t because they don’t think they can. Did that make sense? Choose to believe you can! There are lots of things that can (and will) come up during training that can cause you to lose motivation. It is very likely that you will miss a run or more due to circumstances that come with life. Whether it is bad weather, illness, working late, mild injury, or whatever, NEVER lose sight of your goal and choose to see the situation as positive. Remind yourself of the feeling you will have when you achieve your goal. Do not lose motivation. Many first time runners naturally think they should set a marathon finish time goal. This is not the case. Your goal for your first marathon or half marathon should simply be to finish. If you push yourself too much, you are dramatically increasing the likelihood of injury and not even seeing the starting line. Set a time goal for your next marathon or half marathon. This may sound strange, but it is quite wise. Be smart and set the right goals. This really relates to goal-setting. Many runners follow a program of greater difficulty because they want to achieve a certain time. Then they fall victim to injury or just can’t handle the program so they quit. Choose the right program for YOU! Many runners begin their training and feel they can run more than the scheduled training. What do they do? They go the extra mile (or more). Sure, we were all taught to "go the extra mile" while growing up, but don’t take it literally! In any training program, there is a reason for gradually increasing mileage each week. If you feel really strong when you begin training and want to run more, PLEASE resist the temptation. By going the extra mile, you are substantially increasing the likelihood of injury. Stay with the program. Believe in yourself and the program. Achieve your goal! Many beginning runners decide they want to run a marathon or half marathon and just start running. No homework, no schedule, no advice, no nothing. They just start running because they think they simply need to get in shape to start training and then they will figure out the rest. In 2001, I fell victim to this one! I decided I was going to run a 26.2-mile marathon. I just started running to get into shape. One mile, two miles, three miles…I was a natural! Week 3 came along and, after running three miles, I decided I could double it and then ran six miles. The next week, I blew my knee out and was done before I even started training. While I must admit I am embarrassed to share this failure with you, I am glad to do so if you will learn from it. I’ve held up my end of the bargain! Will you do yours? Do not fail because of ignorance like I did in my first attempt. Educate yourself on training as much as you can before you begin training. If you are reading this, you are already on your way to beating the #3 mistake! Give yourself a pat on the back. Many runners suffer from dehydration because they underestimate how much water their body needs during training. Drink during your long runs. ALWAYS weigh yourself before and after a run and get your body weight back to what it was before the run. 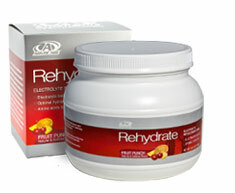 Do this by drinking plenty of water or sports drinks (I use Reyhdrate by AdvoCare every day). Your urine should be light yellow to clear. Dark yellow means you are not adequately hydrated and need to drink more water. Be smart and stay hydrated! Stay away from the hospital! Cross the finish line! Many beginning runners make the mistake of piling on mileage much too fast. Maybe they started training without even building up a base during pre-training! They notice soreness in their shins or knees and ignore it. They keep running and BAM!, it hits them. They’re done. Game Over. Be aware of the warning signs and how to treat them. Be aware that injuries can sneak up on you with NO warning. Be smart and start easy. GRADUALLY build up and take your rest days seriously. Remember how many of the other Top 10 Rookie Mistakes lead to injury. Do not let injury keep you from achieving your goal.